Everything you need to know about Sixt car rental United Kingdom. 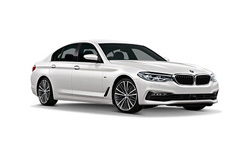 An international vehicle rental company SIXT is offering car hire and van hire from locations across the UK in all major cities and airports. The Sixt fleet offers a wide choice of vehicles from electric cars to prestige limousines and has a range of transport to suit all their customer needs. For the very best deals from Sixt use the incredible search facility of VroomVroomVroom and remember happy VroomVroomVroom hiring.